What Influences UPS Battery Life? The ambient temperature that is rated for the maximum capacity of the battery to be achieved and maintained is 25 degree Celsius or 77 degree Fahrenheit. Any variation from this ambient temperature will result in the shortening of the battery’s expected life and negative alterations to its performance. As a general rule for example, you should know that for every 8.3 degree Celsius or 15 degree Fahrenheit of change to the ambient temperature of the battery results in a decrease of 50% in the battery life. 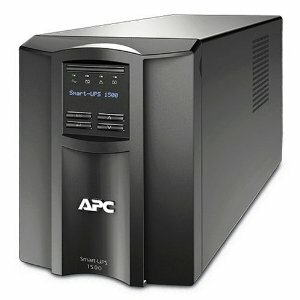 When there is a power failure, the UPS starts to operate on the battery’s power. Once the power is restored or another source of power is connected, the battery is recharged for future use. This is simply called a discharge cycle. When a battery is first installed, its capacity is 100%. Charge, discharge and recharge cycles can cause the battery to lose its relative capacity by small percentages. The reduction of battery capacity is based primarily on the depth and length of the cycles. 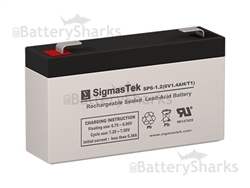 The chemical composition of the battery results in a decrease in the battery’s overall ability to store and deliver their power supplies. 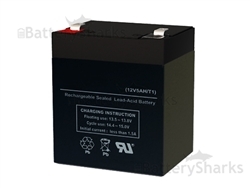 Irrespective of whether you are following the proper guidelines for battery maintenance or not, a battery will eventually need to be replaced at a certain point in time. The use of a battery for a particular function that it isn’t suited for will result in the decrease of battery life. Using the wrong battery is likely to lead to a number of problems. For example, UPS batteries like C&D technologies MR line and EnerSys HX line are able to deliver high rates of output in a short period of time, which is generally 15 minutes. They are rated in Watts-Per-Cell. On the other end of the spectrum, switch gear and telecom batteries are rated with respect to Ampere-Per-Hours and are designed to operate for longer periods. If the battery made to be run longer is run at short, high bursts, or one that is made for shorter higher energy outputs is used for the long haul, the capacity of each of the batteries is going to decrease. One of the most important aspects that control the reliability of the battery are its levels of service and maintenance. A gradual decrease in the life of the battery can be checked through the use of impedance and voltage checks. Preventive periodic maintenance of the battery can help elongate the life of the battery and prevent the loss of the batteries capacity for some time. 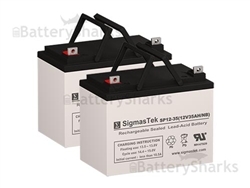 On BatterySharks.com we offer replacement batteries for most UPS Backup Units such as the APC BACK-UPS ES BE750BB or the APC SMT SMT1500 and others. If you found this article useful you may also like this one – UPS Battery Backups: Why are they essential?